Hello lovely people ! Hope everyone is enjoying festive holidays with family and friends. Like many of you, for us its all about good food, family time and catching up with our buddies this vacation. Christmas had been wonderful especially since my parents were here. Also my sister and family flew down from Florida on X'mas day. Kids were so happy & had unlimited fun with their little cousin brother. I prepared Malabar Chicken Biriyani, Fruit and nuts cake - another variation of Fruit Cake(I'm hoping to post the recipe soon), Appam & Egg Masala. Though I feel horrible sometimes not being very active on my favorite blog - my little space I used to utilize all my spare time, I convince myself it is just fine to post my favorite recipes whenever time permits. With a full time job, taking care of the studies and extra curricular activities of two hyper active monkeys and having a family who is actively involved in all Community activities, I kind of find it hard to spare some time to edit the pictures and compose a post on a regular basis. I'm sure many of you have this same dilemma as we all try to balance life as a whole, you miss your favorite hobbies little bit here and there but still you try to get back on track and try to implement them when ever you get chance. So let me set aside all these little hick-ups and make a new post, hoping to continue posting recipes more often and catching up with my fellow bloggers and readers on a regular basis. Mean while thank you all my wonderful readers, friends and family who always had been very supportive & encouraging ! This is one among my kids favorite lunch/tiffin, especially for my son. He loves any stuffed flat bread with a side of yogurt and sugar dip. So I end up making Parathas at-least twice a week for their Lunch box. Parathas can be served for breakfast, lunch or dinner along with Raita or Yougurt & Pickle. Chat masala - ½ tsp. Add flour and salt in a wide bowl. Add water little by little and knead well to make soft dough. Knead dough for a minute or two to make the dough soft, smooth and pliable. Cover the dough with a damp cloth and set aside for twenty minutes OR refrigerate until ready to use. Wash potatoes, drop them in a pot of water and boil until done. Add a tsp of salt to help peel the skin easily. Drain off the water and let them cool down completely. Peel the skin off and put them in a wide bowl. Mash them well with clean hands or fork. Add turmeric powder, green chilies, cilantro, chat masala and salt. 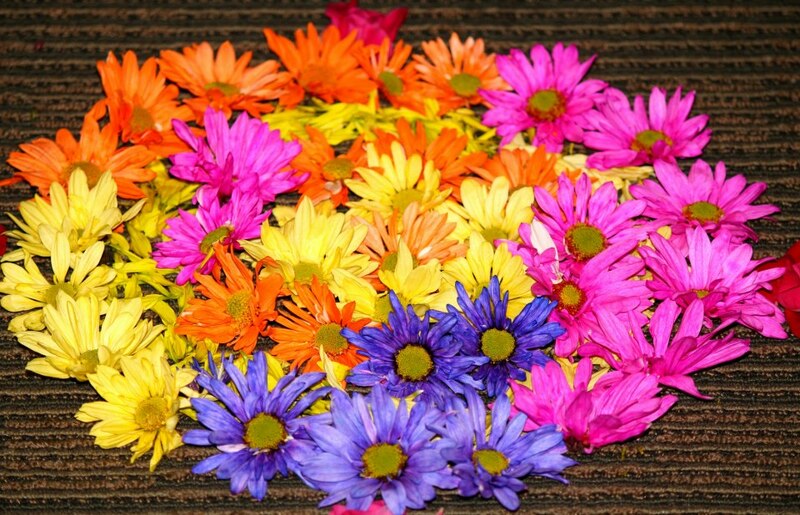 Mix well to combine. Divide the dough into equal parts and form into balls. Divide the potato filling into same number of equal parts and shape into balls. Roll down dough ball into a small circle. Place a filling ball in the center. Pull the edges of the dough to wrap it around the potato filling. Repeat the process with rest of the dough and filling balls. Heat an iron griddle or non-stick pan and set the flame to medium high. To test, sprinkle water on the skillet. If the water sizzles right away, the skillet is ready. Press the filled ball lightly on dry whole wheat flour from both sides. Using a rolling pin, roll the balls lightly to make circles, keeping the sealed side of the balls on top. Lightly dust the parathas with dry flour to make sure dough do not stick to the rolling pin. Place the paratha on the skillet, after few seconds, flip the paratha. Now use a spatula and press gently on all sides to see paratha start to change color and begins to puff up. Flip it over, you will notice some golden-brown spots. Drizzle ½ tsp of ghee/oil over the paratha, flip the paratha again and lightly press the puffed areas with a spatula making sure the paratha is golden-brown on both sides. Repeat for the remaining parathas. Paratha are best served hot and crispy. They will be soft if not served hot. If you are not going to serve them right away, cool them on a wire rack to keep them from getting soggy. 3. Melted Ghee/Clarified Butter – ½ cup + 1 tbsp. Grind cardamom with 1 tbsp sugar. Set aside. Heat up a Kadai/pan, make sure the heat is in low-medium. Add ¼ cup ghee to the pan, add besan flour slowly. Keep stirring as you add the flour fully. Roast besan well in medium flame until it turns golden brown in color and start to get an aroma of the flour. Make sure not to burn the flour. Move the ghee-besan mixture to a wide bowl or plate. Add the powdered sugar, add 2 tbsp of warm ghee. Mix well with a spatula to combine everything. Add more ghee as needed. Add cardamom powder. When it is warm enough to handle, mix well with hands to combine everything well. Take small portion of the mix and press well with hands to form a ball size ladoo. Repeat the process for rest of the mixture. Wash the hands at the end and wipe well to dry. Spread a quarter spoon of ghee in the hand. 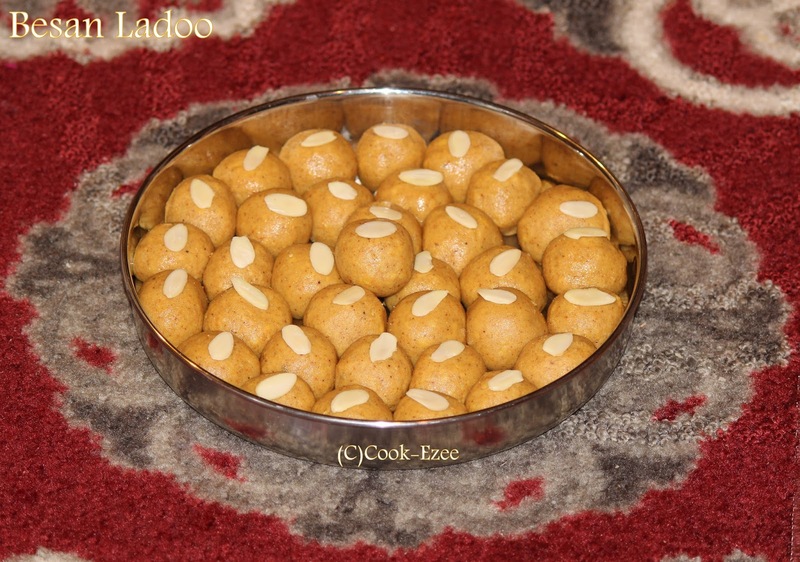 Take each ladoo and smoothen them by rotating it in the circular motion. എല്ലാവർക്കും ഞങ്ങളുടെ ഹദയം നിറഞ്ഞ ഓണാശംസകൾ . 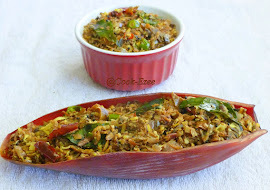 Below are some recipe links from cook-ezee for making Onam Sadya. 9. 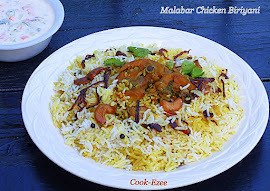 Chicken masala - 1 tbsp. 10. Coriander powder – 1½ tbsp. 14. Coriander leaves chopped fine - 3 tbsp. 16. Coconut Oil - 2 tbsp. Wash and clean the chicken pieces, drain the water completely. Marinate the chicken with ¾ tsp turmeric powder, chili powder and salt. Set aside. Heat 1½ tbsp. of coconut oil in a pan and add mustard seeds. When it splutters, add curry leaves, chopped onion, garlic and green chilly. Saute till onion turns golden in color. Reduce the heat and add ¼ turmeric powder and saute. Add coriander powder, pepper powder, Chicken masala. Saute well. Check for the salt and add if required. When oil starts to separate, add the finely chopped tomato into this and roast it. Open the lid and add the chopped coriander leaves. Stir until it turns dry. Move to serving dish and serve warm with Chappathi or Rice. Open the Canned Tuna and drain off the water. Set aside. Heat up a deep Kadai/Pan and pour Coconut oil. Once the oil is hot enough, add few curry leaves and saute for few seconds. Add finely chopped onions, crushed ginger, sliced green chilies and salt. Saute well till onions become translucent and light golden color. Reduce the heat and add coriander powder, turmeric powder, red chili powder, fennel powder and saute till the spices are well blended with the onion. Drizzle a tsp of coconut oil and let it cook covered in low flame for another three-five minutes. Sprinkle the black pepper powder and generous amount of curry leaves and stir well in medium-high heat for another five minutes. Drizzle few drops of oil and stir well if it tend to stick to the bottom of the pan. Take off the stove.